Located only steps from the masterpieces of the Fort Worth Cultural District, Museum Place is an 11-acre, multi-use development offering wonderful restaurants, shops, residences and office space. Whether you want to enjoy a great meal, meet up with friends for a cocktail or shop for cool merchandise, Museum Place offers the relaxation and sophistication you’re looking for. You can also make yourself at home in Museum Place, which features exquisite high-rise condos and luxury town homes. 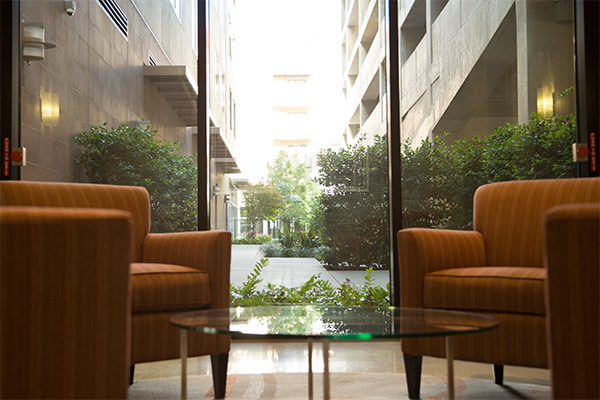 And if you’re searching for class A office space that’s as impressive as it is convenient, look into the options at Museum Place. 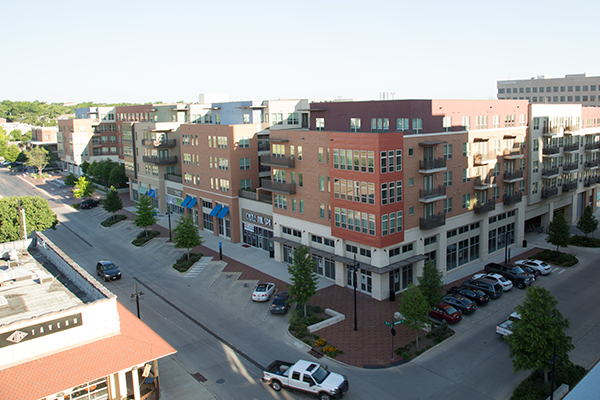 Museum Place is covered by Fort Worth’s MU-2 zoning, which encourages medium-density, pedestrian-oriented urban development with a mix of office space, commercial activity and residences. JaGee Holdings, LLP ­– a Fort Worth-based company that owns and manages more than one million square feet of retail and industrial real estate – is the developer of Museum Place. Museum Place is located in Fort Worth’s Cultural District, one mile north of I-30, immediately west of University Drive. Take I-30 westbound past downtown Fort Worth; exit University Drive, turn north; travel approximately one mile. Museum Place will be on your left when you reach the light at 7th Street. Take I-20 eastbound; take I-30 eastbound when it splits from I-20; exit University Drive, turn north; travel approximately one mile. Take I-35W southbound; as you come into downtown Fort Worth, take I-30 westbound (toward Abilene); exit University Drive, turn north; travel approximately one mile. Take I-35W northbound; as you approach downtown Fort Worth, take the I-30 westbound exit (toward Abilene; exit is to the right); exit University Drive, turn north; travel approximately one mile. Take 121/183 southbound; stay on 121 Airport Freeway southbound until you reach Fort Worth; veer south onto I-35 for a short time; move to right hand lanes, exit I-30 westbound (toward Abilene); travel past downtown Fort Worth, exit University Drive, turn north; travel approximately one mile. Take I-20 westbound to 287 northbound; exit I-30 westbound (toward Abilene); exit University Drive, turn north; travel approximately one mile. Take 7th Street westbound until you cross University Drive. Museum Place will be on both sides of the street once you pass the intersection.